For a long time I had been aiming to connect some small display to any of my small computers, specially the BeagleBone. Well, some weeks ago I finally succeeded to get one up an running. 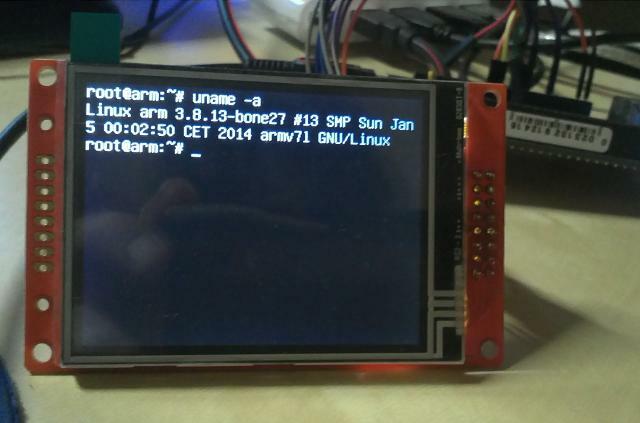 The display is the Watterott MI0283QT-9A (https://github.com/watterott/MI0283QT-Adapter). It is well-known by the Raspberry Pi and the Beaglebone communities. It has a reasonable quality-price ratio and is very easy to use.